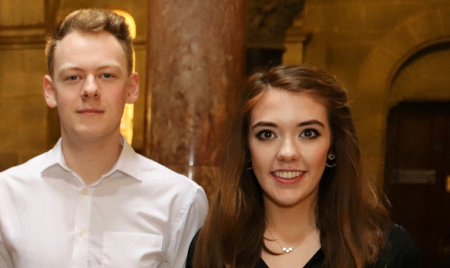 Heartiest congratulations to Sinead McAleer and Paul Allan, Computer Science and Business students, who have been invited to compete in the world's largest start-up and entrepreneurship competition. The "Internet+” Innovation and Entrepreneurship Competition, is organised by the Ministry of Education, China and it takes place in Xiamen University, China. Both are heading off to China from the 11th to the 17th of October. This is an amazing opportunity. Last last year there were approximately 2,500 different universities competing in this competition, with 37,000 students. There are just 19 international teams who are accepted, so it is great news that Trinity College Dublin will be represented. Posted by: Catherine O'Connor, Head of External Relations, School of Computer Science and Statistics at Trinity College Dublin.